This knife was designed by custom knife maker William Harsey. The fine-edged blade is made of high carbon Stainless Steel. 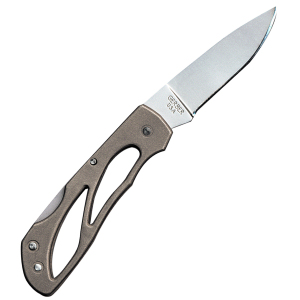 The cast 6AL4V Titanium handle features two contoured holes for superior grip.